Your collection isn't complete without a classic three-tone piece! 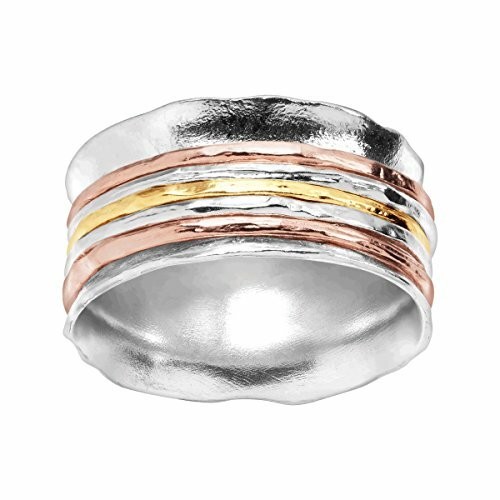 18K yellow and rose gold-plated sterling silver bars move freely in the center of this wavy sterling silver ring. Ring face measures 7/16 inches in width.